I’m known for having one long cashmere coat that seems to serve me well all year around, the simple addition of a scarf and gloves when the temperatures start to plummet always do the trick. However, constant ribbing that I really should mix it up a bit has resulted in me looking further a field to find the perfect coat that I like for the approaching winter season. I’ve found four that I like, some are well out of the price range I would normally stretch to, after all I think a coat for around £150 should be of sufficient quality and style to last for more than one season. The first coat I’ve fallen in love with is the Roman from Reiss but at £275 my first thought was “ouch” but I just can’t help but admire the finish of this wool-rich peacoat. The older I get the more I find myself drawn to double-breasted coats and suits. Made from a wool-rich blend, the Roman peacoat is a classic yet contemporary design and it screams “buy me” every time I see it. After the mind-melting cost of the first and my new found love of fishing (yes, I have firmly become middle aged) I have been taking a peek around for something a little old school and much cheaper. 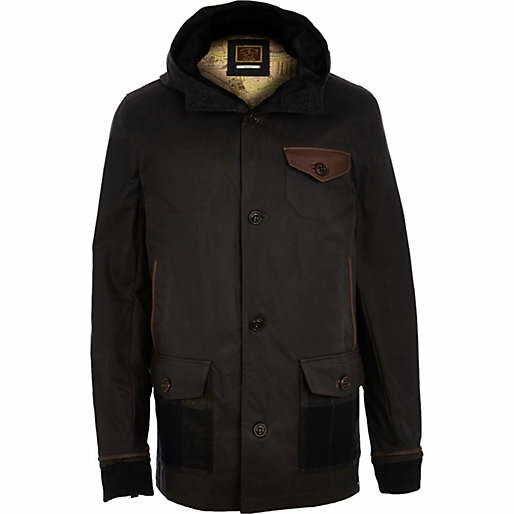 Enter the Dark Grey Holloway Road Waxed Coat. With a flannel hood, faux leather trim and thick waxy exterior this has the power to cut dead the iciest of winds. 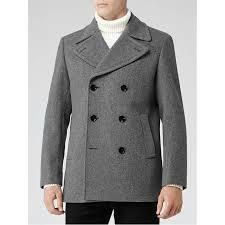 Available from River Island at £128 it sits in the reasonable category for my own personal coat shopping budget. 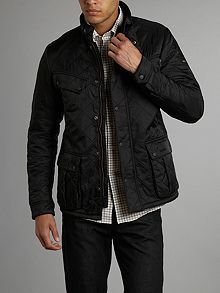 Another coat that sits at the top of my budget range is the Barbour Quilted International Ariel Polar Jacket for £150 from House of Fraser. I know Barbour have increased in popularity over the years but my decision is based purely on the comfort and warmth factor. Having tried this one on it was like having a second skin with levels of comfort from seen his the days of shell suits (that’s a joke to see if anyone is paying attention). 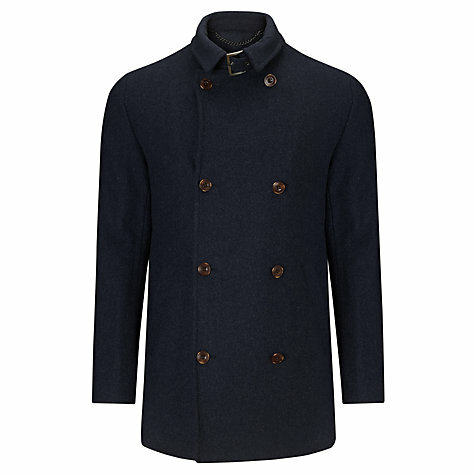 Last but not least is the John Lewis Buckle Neck Donkey Jacket in Navy. I’m 99% certain that this is the one for me, the only thing holding me back is the Navy colour, I much prefer my clothes to be black (and not because I need the slimming effect before any starts that). Being wool rich rather than being 100% wool means that it won’t irritate my skin (I’m weird like that) and it truly is a modern twist on the traditional donkey jacket. This is my favourite, it would look good for work and still as that slight snazzy edge for casual nights out. The coat that has everything in my book, except for a huge price tag. As you would expect from John Lewis it isn’t cheap but it also isn’t massively inflated - at £140 this is a reasonably priced coat. What do you think to my winter coat wish list? I really like the Roman from Reiss. Gorgeous shape. It's very similar to the coat my partner bought back in January. His is navy though. He got his from Next for about £70-ish. Very nice quality, and the shape flatters his broad shoulders. fantastic post! love the John Lewis coat, very classy looking!! You've picked some rwally nice coats there. 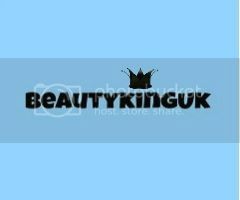 My OH is currently looking for a winter coat I am going to make him look at your rec's!